Our Pro Shop offers professional level services at great prices for all our bowling maintenance needs! Then come vist us and bowl a couple strings. 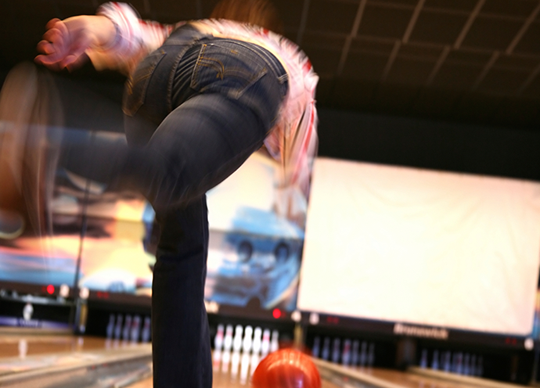 We offer everything from competitve bowling to casual games where you can hang out with friends or maybe some new ones. Don't forget - The Sports Arena also offers party rentals for any event! Bowl in luxury at The Sports Arena! Bring a group of friends to bowl in style and comfort in this newest section of our bowling lanes. Plush sofas and an all inclusive price meas this deal can't be beat.